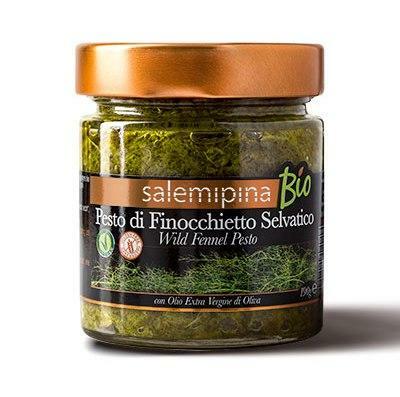 Wild Fennel Pesto is a great choice for your first or main course. 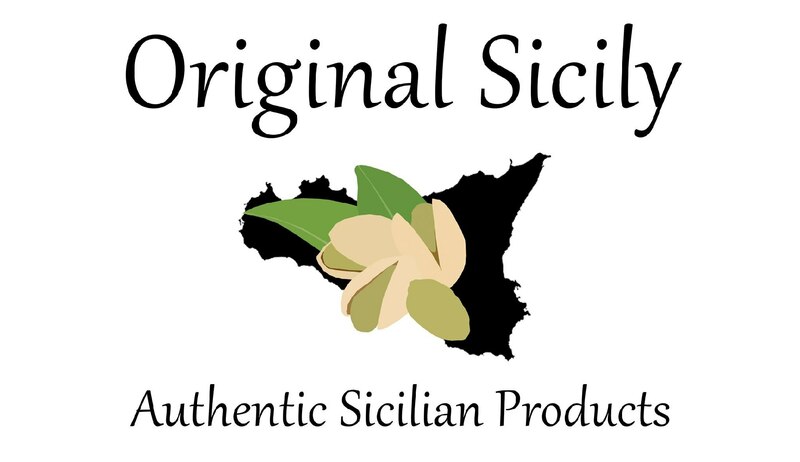 In the sicilian tradition the wild fennel it is well known as the secret ingredients in pasta with sardines dish. The wild fennel is a variety of fennel which spontaneously grows in the mediterranean countryside from tall branched stems. This pesto is realized by using fresh leaves of wild fennel, mixed with extra virgin olive oil, sun-dried tomatoes, onions, raisins, brown sugar and sea salt. All organic ingredients! After opening, add extra virgin olive oil and keep refrigerated. Consume within 10/12 days. Ingredients: Wild fennel (37%), extra virgin olive oil, sun-dried tomatoes, onions, wine vinegar, raisins, brown sugar, sea salt. May contain traces of celery and nuts.